When you can't decide if you want your hair straight, wavy, or curly, the Corioliss C1 will take you through each look effortlessly. 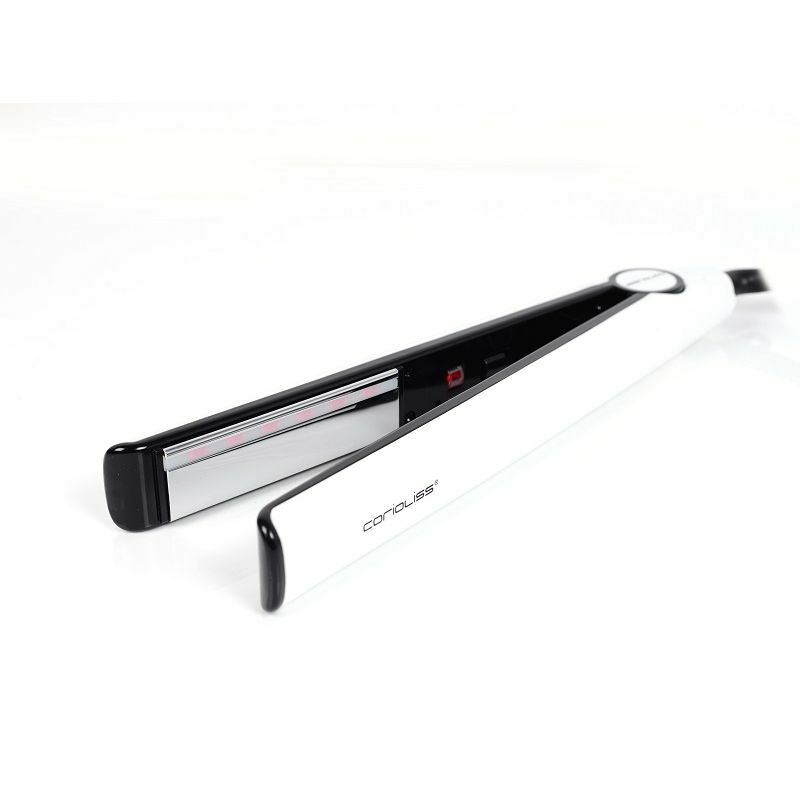 Create sleek styles or bouncy curls with the Corioliss C1 Infrared Pro Hair Straighteners. Utilising infrared heat technology to lock in moisture, softness and shine, the irons glide effortlessly over hair, delivering consistent heat for unrivalled results. Super smooth titanium plates provide easy glide, while an adjustable temperature gauge (up to 235?C) allows you to control even the thickest, unruly hair. Developed with negative ion technology for frizz-free results. Suitable for all hair types, even thick and curly. About the Brand: Founded in 2002, Corioliss is a UK Based brand, worldwide known for their professional hair styling products and accessories that use the most advanced technology to give you the most innovative range of products. An independent company that focuses on customer's creative freedom, their product range includes the best of hair dryers, straighteners, hair curling irons, hair styling accessories and much more. You could manoeuvre a wide paddle brush through knotted strands while blasting them with heat to achieve silky, smooth hair or you could skip the struggle and use Corioliss Hot Brush 3 in 1 Digital Heat Brush instead. Explore the entire range of Straighteners available on Nykaa. Shop more Corioliss products here.You can browse through the complete world of Corioliss Straighteners .